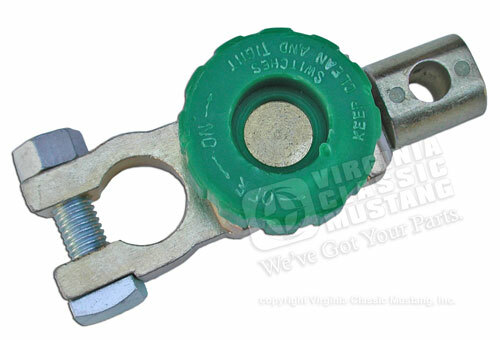 This is an important safety item for your Mustang or any other car with a top post battery. This is a very nice quality Battery Shut Off Switch that makes it convenient to shut down the power with a simple twist of the knob. Every single vintage or collector car should have one of these. Ideally, this is mounted to the negative battery post.